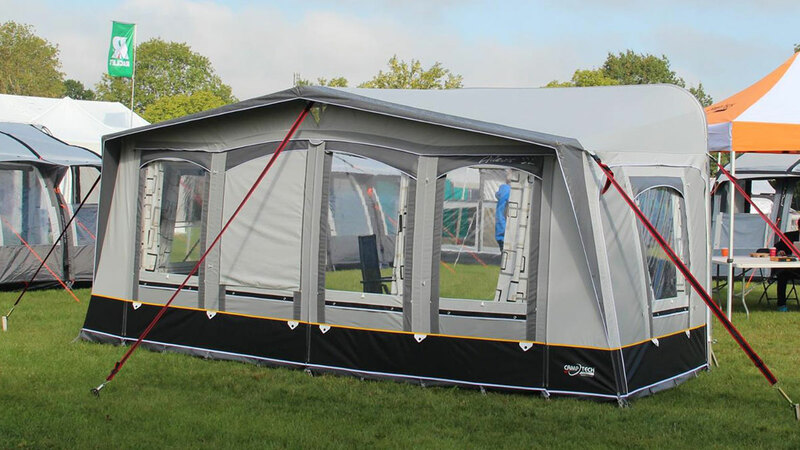 The flagship of our range of traditional awnings, the Atlantis DL seasonal pitch awning. New model for 2017, this really is the ultimate European awning available in Australia. Exclusively developed and manufactured with the very latest and highest quality Climatech SR21 all season coated polyester material. This is the strongest available material found on any European manufactured awning in the market place today. 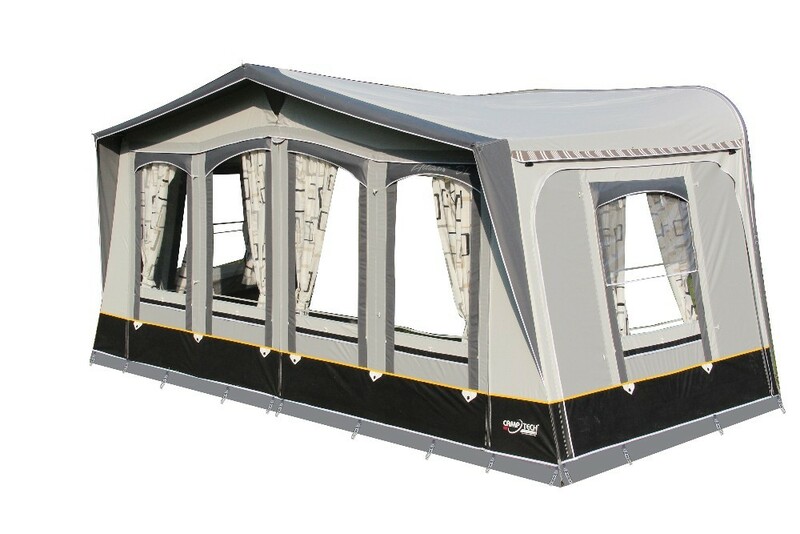 Camptech’s design teams have created a true masterpiece of innovation in producing what could possibly be the most advanced and durable seasonal pitch awning. The Atlantis DL awning is bursting with features. 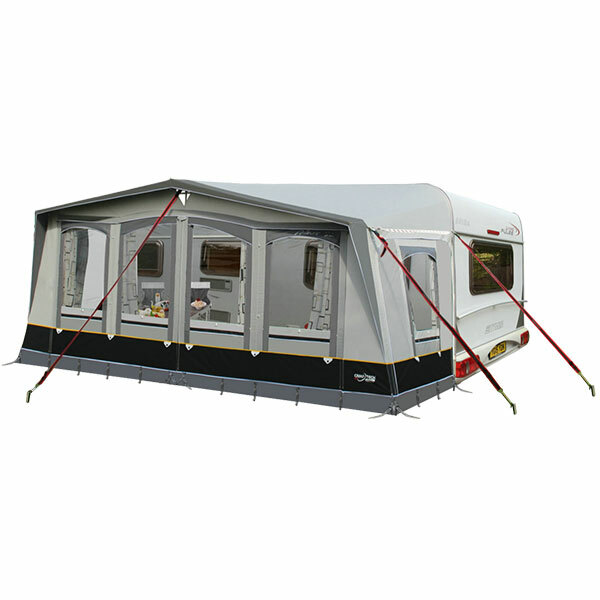 It possesses a new eye catching front layout with four windows and is available to suit all caravan sizes. Exclusive to all of our traditional full awnings are the dual action GripLoc clamps and our unique and universal UniLoc bracket pads. Also includes: Uniloc bracket pads, YKK & Techline Smooth-Flow zips, Draught Skirt, Wheel Arch Cover (with clear suction pads), Curtains, Heavy Duty Nylon Pegs, Ladder Bands, Peg bag, Strong Canvas Carry Bags (for awning canvas).